Conveniently located off of Route 7, about 4 miles west of Route 28, Ashburn is one the largest planned communities in Northern Virginia. Approximately 33 miles west of D.C. and minutes from Dulles International Airport, Ashburn Village is within the Loudoun County Public School District and features, 2 elementary schools (Ashburn Elementary and Dominion Trail Elementary), 1 middle school (Farmwell Station), several daycare centers and Broad Run High School is just a few miles down the road. Dulles Town Center and the leesburg outlet mallare only minutes away and Dulles 28 centre offers shopping favs like wegmans and target! 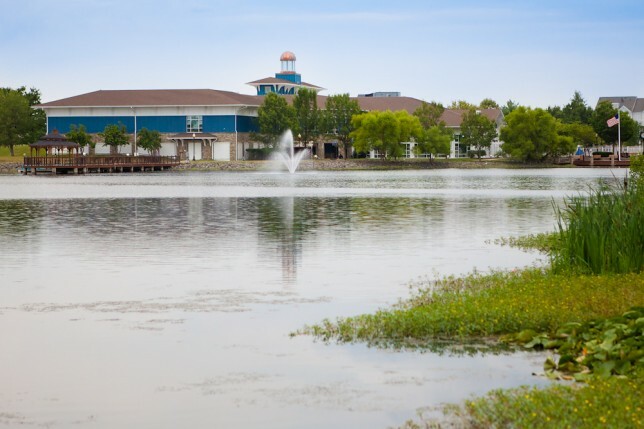 Ashburn Village also features a shopping plaza with many choices of where to dine. The Ashburn Pub and Finnegan’s Irish Pub are fun places to unwind, or grab some take out from Urban BBQ, Thai Ashburn, Jimmy John’s or one of the more than 15 food options without even leaving your neighborhood! The Ashburn Village Home Owners Association keeps residents busy year-round with fun activities. resident favorites include the 4th of july dazzling fireworks display and in September the Pavilion is transformed into VillageFest, an annual community celebration with rides, games, and fun-filled adventure for the entire family. There is a community paper (The Villager) to keep you updated on the latest news and is also available online. Ask Gina & Company loves our local Northern Virginia neighborhoods and is sure that you will too! So that we can find the perfect Loudoun County community for YOU!